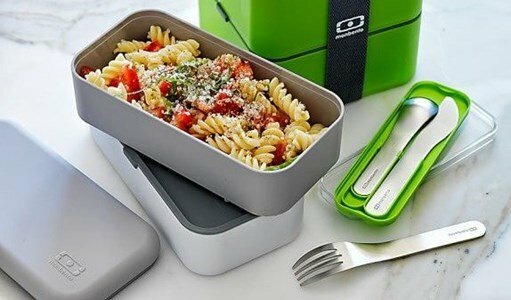 MB Pocket - your new lunch partner. Concerns about luch in the workplace or outside the usual environment, led Monbento to create and innovate. A knife, a fork and a spoon: MB Pocket - that adapts perfectly to the MB Original. Wherever you want, yes...just like home! Forget the plastic cutlery, weak and quite unsightly. Enjoy a healthy meal, prepared at home... MB Pocket cutlery is your great ally. 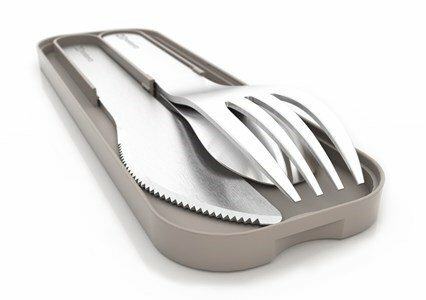 MB Pocket cutlery, in stainless steel and with an elegant case is always ready for action. In stainless steel and includes a plastic box.